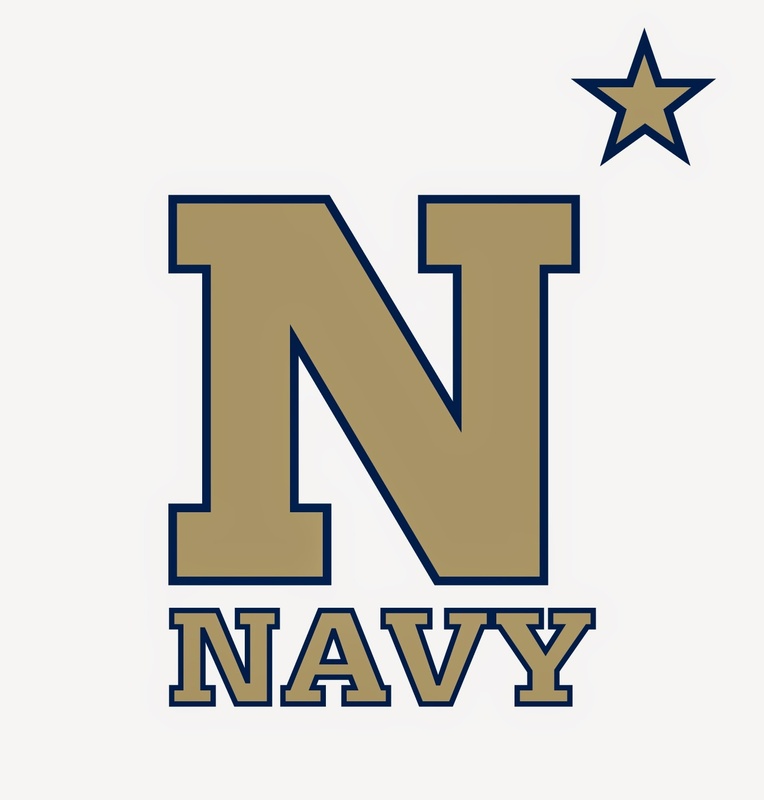 Navy and Notre Dame square off for the 88th consecutive year this Saturday at FedEx Field in Landover, Maryland. The game kicks off at 8:00 on CBS. The Irish hold a 74-12-1 (.856) edge in the series. Notre Dame has won 47 of the last 50 meetings. Notre Dame and Navy have met every year since 1927, playing 54 times at neutral sites and 33 times at Notre Dame Stadium. Saturday’s game is believed to be the first time Navy has played a game in prime time on an over-the-air network (ABC, NBC, CBS, Fox). Naval Academy Director of Athletics Chet Gladchuk and Notre Dame Director of Athletics and Vice President Jack Swarbrick announced last fall that Navy’s football series with Notre Dame, which is the longest continuous intersectional rivalry in college football, has been extended to 2026, which will be the centennial year for the series. The Irish and Mids will meet in South Bend on odd years, while on even years the game will be Navy’s home game, customarily played at regional NFL venues. The Navy offense has scored 30 or more points four times this year and the Mids have won all four of those contests. Under Niumatalolo, the Mids are 35-9 (.795) when scoring 30 or more points per game. The Navy defense has allowed less than 30 points three times this year and the Mids have won each of those games. Under Niumatalolo, the Mids are 47-12 (.797) when the Mids hold the opposition to under 30 points. The Navy defense has allowed just five first-quarter touchdowns in the last 21 games. The defense gave up a first quarter touchdown to Notre Dame in South Bend and to South Alabama in Annapolis in 2013 and a TD to Rutgers at home and two touchdowns to Air Force in Colorado Springs this season. Navy junior quarterback Keenan Reynolds scored three touchdowns against San Jose State. It is the 10th time in his career he has scored three or more touchdowns in a game. The NCAA record is 11 set by Montee Ball of Wisconsin (2009-12). Reynolds has now scored 52 career touchdowns. That is the fifth most touchdowns in NCAA history by a quarterback. Reynolds trails Eric Crouch (Nebraska, 1998-01), 59; Collin Kaepernick (Nevada, 2007-10), 59; Tim Tebow (Florida, 2006-09), 57; and Collin Klein (Kansas State, 2009-12), 56. The 52 career touchdowns by Reynolds are also the 22nd most in NCAA history by a player at any position. The record is 77 by Montee Ball of Wisconsin. Despite having already played Ohio State, there is little doubt that Notre Dame is the best team the Mids will see this year. The Irish, ranked sixth in the Associated Press poll and seventh in the USA Today/Coaches Poll, enter Saturday’s contest with a 6-1 record including victories over Rice (48-17), Michigan (31-0), Purdue (30-14), Syracuse (31-15), Stanford (17-14) and North Carolina (50-43). Notre Dame’s only loss was a heartbreaker at Florida State, 31-27. The Irish are led by their sensational quarterback Everett Golson, who is a surefire Heisman Trophy candidate. Golson has completed 166 of his 268 pass attempts for 1,996 yards (ranked 18th nationally in passing yds/gm, averaging 285.1 yds/gm) with 19 touchdowns (ranked 18th) and six interceptions. Golson is ranked seventh in the country in points responsible for per game (20.0), 13th in total offense per game (319.3) and 15th in completions per game (23.7). Golson has a host of weapons at wide receiver led by Will Fuller (43 catches for 583 yards and eight touchdowns, tied for sixth in the country) and Corey Robinson (27 catches for 359 yards and four touchdowns). Robinson is the son of former Navy basketball great David Robinson. The Irish also possess a potent running attack led by Tarean Folston (81-383, 2 TDs) and Golson (69-239, 4 TDs). Notre Dame features an attacking defense led by linebackers Joe Schmidt and Jaylon Smith. Schmidt leads the Irish in tackles with 57 stops, two interceptions and two forced fumbles. Smith leads the team with 6.5 tackles for a loss and is second with 53 tackles. The Irish are ranked 12th in the country in rushing defense, giving up just 102.7 yards per contest, and 14th in scoring defense, giving up 19.1 points per game. Option-minded Navy leads the nation in rushing offense at 352.3 yards per game. Kyle Brindza handles both the kicking and punting duties. He is 10-14 on field goals and is averaging 41.7 yards per punt. Notre Dame looks to rebound from its first loss of the season, a 31-27 setback at No. 2 Florida State on Oct. 18. The Irish are 10-5 following a loss under Brian Kelly. Notre Dame also has the benefit of a bye week. Kelly's teams are 16-2 in his career following a bye week. Notre Dame has not had to punt in five of its last nine meetings with Navy. QB Everett Golson has thrown for 31 career TDs, tying him with former Washington Redskin Joe Theismann for seventh in school history.